How many can you get in our latest pre-match quiz? Improved Saints showed encouraging signs for the boss. Midfielder reaches 200 landmark against Arsenal. Watch our 90-second highlights from Emirates Stadium. Watch the best of the action from Emirates Stadium. The best of the images from Emirates Stadium. Watch the Saints midfielder give his reaction to defeat at Arsenal. Watch the manager's reaction after Emirates Stadium trip. Arsenal edge five-goal thriller in the Premier League. Arsenal boss Arsene Wenger on the meeting with Southampton. Saints boss looks ahead to Arsenal clash. Saints boss Mark Hughes on the trip to Arsenal. Read our supporters guide before you travel. Check out our images from Friday's training at Staplewood. Saints boss Mark Hughes previews Sunday's trip to the Gunners. Charles Watts gives us the lowdown on Sunday's hosts. Saints to face Arsenal on Sunday 8th April at 2.15pm BST. Saints' travel to the Emirates on Monday 9th April (8pm kick-off). Take a look at our selection of images from this afternoon's match. A dramatic afternoon in the capital sees Arsenal edge a five-goal thriller. Read our take on events by clicking here. It's harsh on Southampton, who probably deserve something from the game. At least Mark Hughes can take heart from a spirited show from his players at Emirates Stadium, as attention turns to next Saturday's home game against Chelsea. Wesley Hoedt is booked for a late tackle. Both teams down to ten men! Mohamed Elneny is shown a straight red for raising his hands. Jack Wilshere is yellow carded for his foul on Jack Stephens. Jack Stephens is sent off for his retaliation on Jack Wilshere after he literally rips the Saints defender's shirt in half as he runs up the pitch. We're into the final minutes here at Emirates Stadium. Come on, Saints! Saints threaten once again, with the ball moved to Josh Sims in space down the inside-right, but Rob Holding gets across to make a superb sliding block from his shot. A brilliant turn and shot from Dušan Tadić in the area, but Petr Čech does brilliantly to tip it over. Long has battled through an injury for a while in this game, but can't go on any longer and is replaced by Sims. Dušan Tadić flicks a ball over the top for Charlie Austin, but under pressure he can only stab a shot straight at Petr Čech. Saints are so lucky here. Iwobi's chip to the back post finds Wilshere, who acrobatically turns the ball back across goal. Welbeck is unmarked six yards out, but somehow diverts the ball up and over. What an escape! Arsenal make their final change of the afternoon. What an impact! Austin levels for Saints within moments of coming on. Superb work from Cédric, who drives into the right side of the area and fires a low ball across the face of goal for Austin to turn in. GET IN! Mark Hughes makes his first change of the day, and it's a very attacking one. Arsenal make their second change of the afternoon. Wesley Hoedt fires in a well-struck, left-footed shot from distance, but Petr Čech is again equal to it, flying to his right to push the ball wide. Southampton still searching for what would be a precious equaliser. They've been looking threatening in the second half, but Arsenal's slender lead remains intact. The first change of the day is made by the hosts. Cédric fires in a low shot, but doesn't get his angle right. It goes right into the path of Shane Long, though, who shows great reactions to stick out his left leg and divert it past Petr Čech, but it's correctly ruled out for offside. Dušan Tadić whips a ball in from the left, with Shane Long rising to meet it and head it back across goal. It's creeping just inside the post, but Petr Čech flings himself to his right and tips it wide. Close to an equaliser for Saints. James Ward-Prowse's corner is met at the near post by Wesley Hoedt, who flicks a header towards the far corner, but Mohamed Elneny is on the line to head it clear. 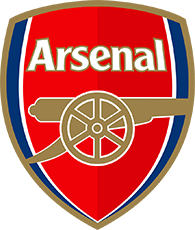 The ball drops to Pierre-Emile Højbjerg 25 yards out, and he unleashes a thunderous low drive that nearly beats Petr Čech, but the Arsenal keeper manages to push the ball away. Alex Iwobi fires in a brilliant strike from just outside the box that's swerving in, but Alex McCarthy dives superbly to his right and gets fingertips to the shot to tip it round the post. Héctor Bellerín loses the ball to Shane Long on the halfway line then tugs him back, receiving a yellow card for the foul. Two excellent saves in quick succession from Alex McCarthy, as he first repels Pierre-Emerick Aubameyang's shot across goal, before making a superb stop to tip Granit Xhaka's low, slicing effort from outside the area wide of the post. Come on, Saints! Let's get back into this! The teams return to the pitch! Both sides are back out for the start of the second half. Check out a selection of images from an eventful opening 45 minutes at Emirates Stadium. Saints will feel aggrieved to have gone in behind, given how they have played. It started brilliantly, with Shane Long's 17th-minute opener, but Pierre-Emerick Aubameyang and Danny Welbeck have turned the game on its head. Close to a goal against his former club for Calum Chambers, but his low shot across goal from 18 yards is well blocked by Wesley Hoedt. James Ward-Prowse pounces on a loose bouncing ball 25 yards out and fires in a low, right-footed shot, but it slices a yard or two wide of the post. This is really cruel on Saints, who have played well in this first half. Danny Welbeck cuts onto his right foot on the edge of the area and fires goalwards. The ball deflects off Maya Yoshida and spins past Alex McCarthy, who was left with no chance. 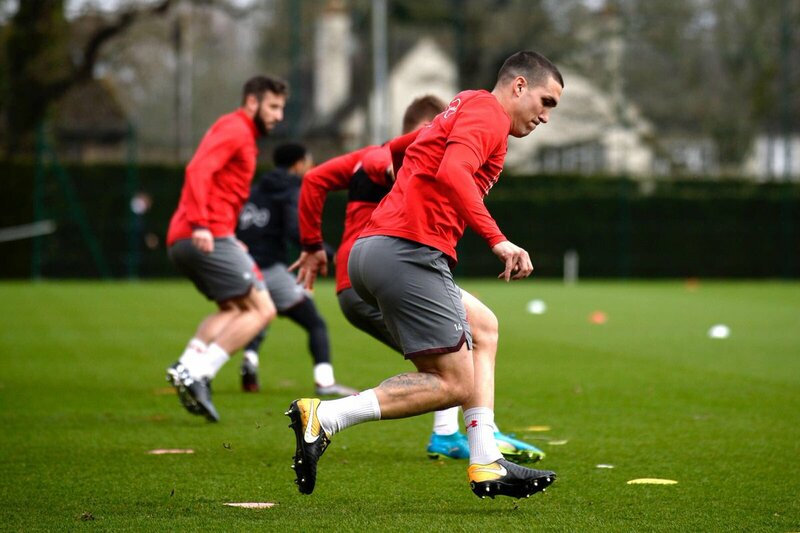 After Oriol Romeu brings down Danny Welbeck 25 yards out, Granit Xhaka steps up and tries to whip a left-footed strike up and over the wall, but it just keeps going up and clears the bar comfortably. Arsenal starting to apply some pressure now, after their equaliser. Pierre-Emerick Aubameyang's cross is met by Calum Chambers's scissor kick, but, although it's heading towards the far corner, it doesn't have enough on it to trouble Alex McCarthy. Arsenal finally produce a slick move around Southampton's penalty area, ending with Pierre-Emerick Aubameyang prodding home. Harsh on Saints. Saints will be more than satisfied that the game has gone through a fairly low-key patch since the goal. So far, Mark Hughes's tactics are working a treat for the visitors. It's no less than what Southampton deserve! Long reacts quickest at the near post to Cédric's low cross and flicks the ball brilliantly into the far corner! YES!!! The players join a minute's applause in memory of Ray Wilkins ahead of kick-off. That Ward-Prowse opportunity has sparked a short spell of pressure from the visitors, with Dušan Tadić getting to the byline and firing in a low cross that's turned behind. Mark Hughes's men are also looking dangerous on the break. Ward-Prowse so close to an opener! Dušan Tadić pounces on a loose ball in behind, and does well to square to James Ward-Prowse. He takes a touch and fires back across goal on his left foot, but Hector Bellerin gets back to clear it off the line. Saints' back five have done a strong job so far, with the hosts unable to create an opportunity as yet, but it's the Gunners who are well in control of possession early on. A long, angled pass in behind Saints' defence seeks out Danny Welbeck, but Alex McCarthy is well-positioned to grab the ball ahead of the Arsenal forward. We're under way here at Emirates Stadium! Come on, Saints! Following the tragic passing of Ray Wilkins earlier this week, both clubs and the supporters inside Emirates Stadium have held a minute's applause in his memory. ahead of the match getting under way. We're only a few minutes away from kick-off, with both sides lining up in the Emirates Stadium tunnel! We'll have live game updates for you here, and don't forget you can also listen to our free commentary of the match! Not long to go now! Kick-off is at 2.15pm BST. what happened last week was not acceptable. we have done a lot of good work in the week and we are looking very much forward to showing it today. we are well prepared and now it's about showing what we did in training on the pitch. Watch as the Saints squad arrived at Arsenal earlier this afternoon. Ward-Prowse to make his 200th Saints appearance! Congratulations to James Ward-Prowse, who makes his 200th appearance for Southampton today! The midfielder is one of four changes for Saints, with Maya Yoshida, Oriol Romeu and Shane Long also coming into the line-up. Nathan Redmond, Manolo Gabbiadini and Charlie Austin drop to the bench, with Mario Lemina missing out completely. Starting XI: Čech, Bellerin, Chambers, Mustafi, Kolašinac, Elneny, Xhaka, Iwobi, Nelson, Welbeck, Aubameyang. Subs: Macey, Monreal, Holding, Nketiah, Wilshere, Özil, Lacazette. Starting XI: McCarthy, Cédric, Stephens, Hoedt, Yoshida, Bertrand (c), Romeu, Højbjerg, Ward-Prowse, Tadić, Long. Subs: Forster, Pied, Sims, Redmond, Boufal, Gabbiadini, Austin. Saints have made their way into Emirates Stadium, ahead of this afternoon's game. Not long to wait until Mark Hughes's team for the day is revealed. The boss hinted there would be changes after last week's 3-0 defeat at West Ham, and we'll have all the news for you here as soon as it's confirmed. The manager met with members of the media on Friday, at Staplewood Campus. Watch to see what he had to say in response to their questions. the time is very short. you could see that in the second half against cska we suffered a little bit. the question mark for me will be, who do i rest, who do i bring in? but the main priority will be to win. Check out some of our images from the week, as Southampton trained at Staplewood Campus in preparation for today's game. Check out our images from behind the scenes at Emirates Stadium, ahead of the teams arriving. We've been speaking to Mark Hughes ahead of this afternoon's visit to Emirates Stadium. Find out what he had to say to us about the game. Sam mcqueen has a groin strain unfortunately, so he won't be involved. mario lemina has been ill this week, but has trained. everyone is fit, healthy and ready to go. A repeat of the scoreline on the last trip to Emirates Stadium would do nicely today! Jordy Clasie and Ryan Bertrand both netted as Southampton won 2-0 in the quarter-finals of last season's League Cup. Watch back the best of the action! It's matchday for Southampton, who are in the capital for a Premier League clash with Arsenal. A win today would take Mark Hughes's side out of the bottom three by virtue of goal difference, ahead of a return home to face Chelsea next weekend. As always, we'll have the build-up, team news, live match updates and free commentary from Emirates Stadium for you, so stick with us!